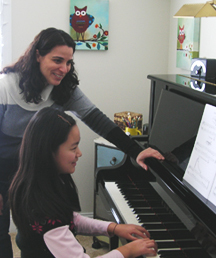 I am a pianist with international performing experience and over 20 years of teaching experience. My work experience includes collaborations with American Institute of Musical Studies, Princeton Festival, the American Handel Festival, dell'Arte Opera Ensemble, Opera Festival of New Jersey, Boheme Opera NJ, and a performance on the TODAY show. I have been a faculty member at The College of New Jersey, Mason Gross School of the Arts, New Jersey City University and Wagner College, and I hold Bachelor's, Master's, and Doctoral degrees in Piano. I perform regularly with professional instrumentalists and singers in recitals and concerts. I was also a founding member of the chamber ensemble trio@play, which released two CDs and was interviewed on WWFM, The Classical Network.